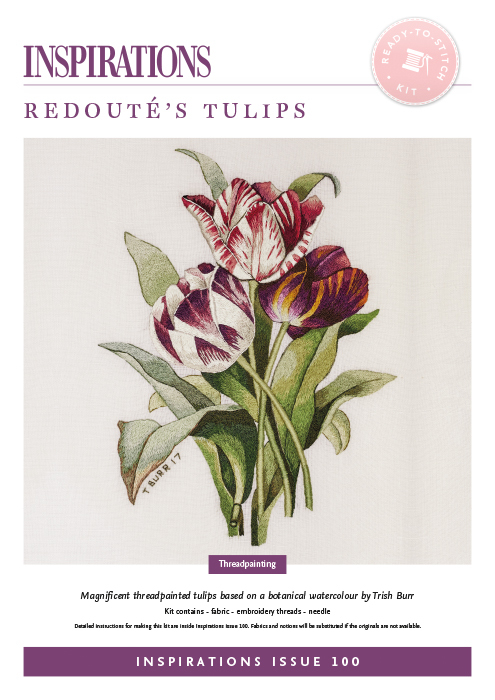 Magnificent threadpainted tulips based on a botanical watercolour. 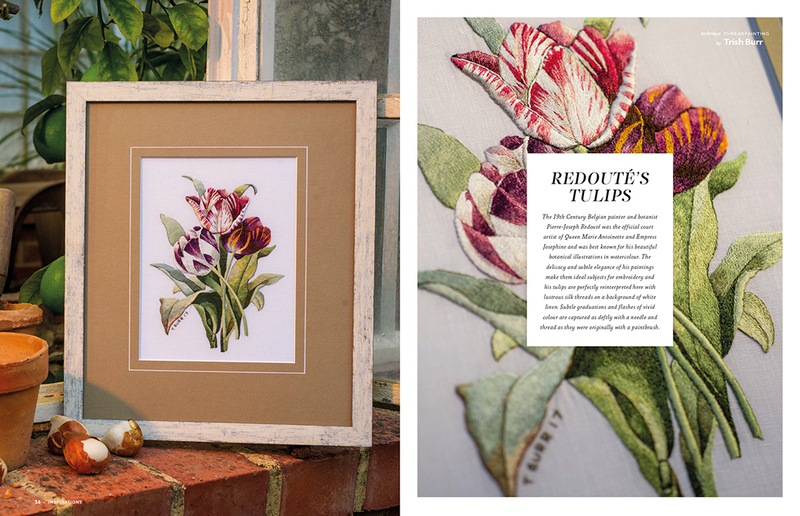 The delicacy and subtle elegance of 19th Century Belgian painter and botanist Pierre-Joseph Redouté paintings make them ideal subjects for embroidery and his tulips are perfectly reinterpreted here in lustrous silk threads on a background of white linen. 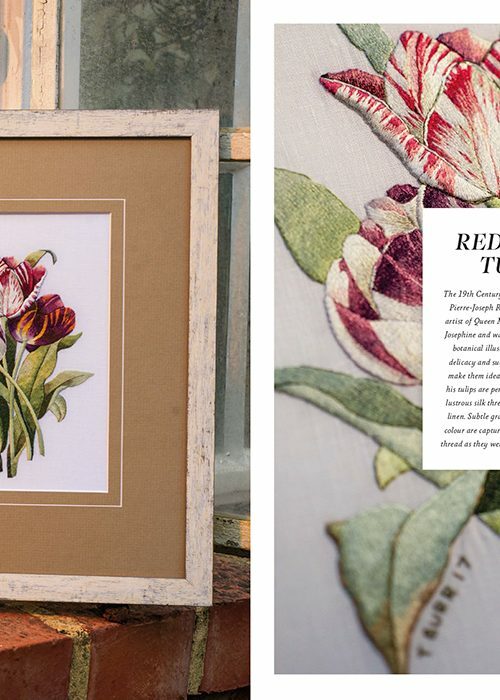 Subtle graduations and flashes of vivid colour are captured as deftly with a needle and thread as they were originally with a paintbrush.